Spec. Bryan T. McDonough, 22, of Maplewood, and Spec. Corey J. Rystad, 20, of Red Lake Falls were on patrol near Fallujah when the explosion occurred, officials said. Both men were assigned to B Company, 2nd Combined Arms Battalion, 136th Infantry, based in Crookston, and had deployed to Iraq in March. Jim Rystad says early on Sunday morning, two military officials arrived at the Rystad's home. "My heart just dropped. I knew what it was," he said. Rystad says Guard officials told him that Corey was killed by an improvised explosive device. Lt. Col. Kevin Olson, a spokesperson for the Minnesota National Guard, says the two soldiers were traveling together on a patrol when the incident happened. Jim Rystad says his son's last visit home was in June. He spoke to Corey just last week. He recalls that his son was a big sports fan, especially of the University of North Dakota. "He always called to have all the Sioux games taped and then his younger brother would burn them down to DVD and send them over to him," he said. In high school at Red Lake Falls, Corey Rystad played hockey and football. He graduated in 2004. "A lot of kids are saddened by the death of Corey," said Steve Phillip, a teacher and coach at the school. "Kind of a gloom, doom day here in Red Lake Falls." Phillip says Corey Rystad was a hard worker and hard to forget. "Corey had a very good sense of humor. He always had a smile on his face, He was always pretty bright and cheerful. I know his dad had mentioned that he was kind of laid back, but he was the kind of kid that was laid back with a smile on his face and he was always happy." Phillip says the Rystad family is very active in the community. He says Corey Rystad followed the example of his older brother, David, and joined the National Guard because he thought it was the right thing to do. "David was a big influence on Corey. Corey was very proud that David served and I think he wanted to follow in David's footsteps," he said. "The war has seemed very distant to us in Red Lake Falls and probably most people in northern Minnesota and this has just brought it home to Main Street and I think a lot of people are realizing that. I guess if there is one hope I would hope we could end our mission in Iraq and we can send our kids home hugging their parents rather than coming home in body bags," Phillip said. In Roseville on Monday, the American flag flew at half-staff in honor of McDonough. He graduated from the school four years ago. Graphic arts teacher Brian Hoag, who had McDonough in class for three terms, remembers McDonough as a good student, with a great smile. Hoag also describes McDonough as a young man who had a great zest for life, but who could also be a character. "He was one of those gregarious types of students. He had days he could drive you crazy and days you just loved him to pieces. He was one of those personalities," Hoag said. McDonough was a gifted athlete, who played on the school's hockey and lacrosse teams. But one of the things that impressed Hoag was McDonough's strong sense of patriotism. He says McDonough knew early on that he wanted to go into the military, and that the September 11 terrorist attacks deepened that desire. "He took that personally," according to Hoag. "That was an attack on our country. He felt strong about defending our rights, defending our freedom. He felt strong enough to make that commitment. We throw the word hero all the time, but to see the kind of commitment he made and to see how it's now ended, he is a true hero." McDonough had been taking classes at St. Cloud Technical College before he was deployed to Iraq in March. He planned to finish school, but said on his page on myspace.com that he was "proud" to be in the military; that there was "no other place" he'd rather be. And McDonough's sister, Katie, says that was true. "He saw the fighting going on and he thought that he should be one of the people that were out there," she said. "He was seeing men with wives and kids out there and he didn't think that was right. He thought that should have been him." 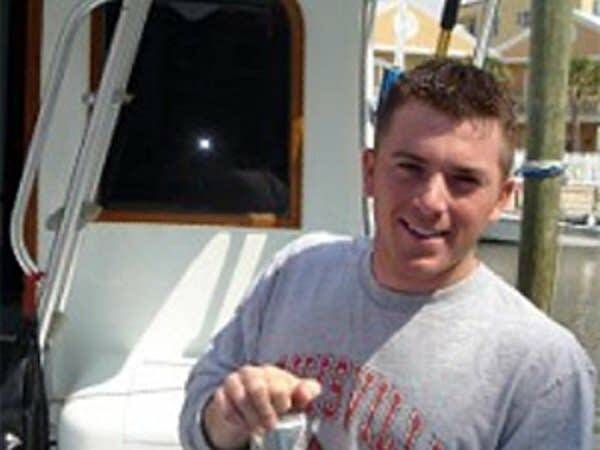 Katie McDonough said that even though he believed he was doing the right thing, he didn't like to talk with family members about his what he faced in Iraq, "because he didn't want us to be scared for him. He didn't want us to be concerned about him. He didn't like us to worry so he kept the information pretty minimal unless we asked about it." Katie McDonough last saw her brother in September when he was home on a two-week leave. The family planned a special trip to Las Vegas, where they surprised McDonough's mother, who wasn't expecting him home until November. About a dozen family members and close friends attended the reunion. 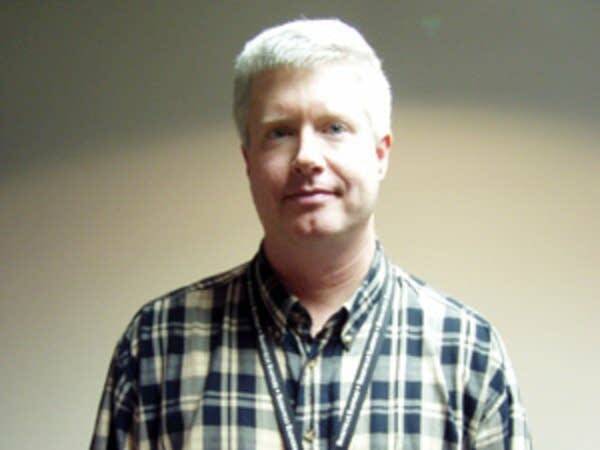 Bob Reha was a reporter in the Moorhead Bureau of the Minnesota Public Radio newsroom and was with MPR since July 1999.